While finding a great hip-hop Christmas song can feel like a useless endeavor outside of a select few, the soul world is chock-full of great Christmas songs. 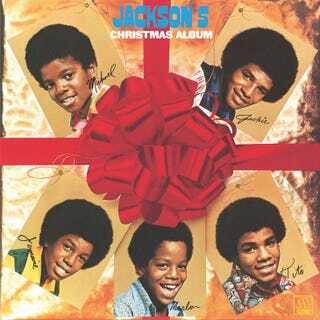 My parents got us started early with soulful Christmas music, and it became an integral part of my youth and Christmas experience. Christmas doesn’t start until Donny starts blaring through department store speakers. Christmas music is love. For that reason alone, damn near every great soul artist from the ’60s and ’70s made at least ONE Christmas song. And here’s the rub: They’re all pretty good. Of course, some are better than others, but holy manger, Batman, are there some absolute Christmas bangers. From Motown to Stax to Atlantic—they took us here (pow) and then took us there (pow). Because I like to make things harder on myself than I need to, I’ve decided to rank the 10 best soul Christmas songs. While this list will include a ranking, it’s really like No. 1 and then No. 1b for slots No. 2 through No. 10. And you could add a solid 20 more and still fight about them all. But as Joe sang so eloquently on his 2000 album My Name Is Joe, somebody’s gotta be on top. Let the games begin. Fight me, bro. Fight me.